In a Universe With Billions of Glowing Galaxies, How Can There Be Night on Earth? Humans still ponder an ancient paradox. In the 1820s, something troubled astronomer Heinrich Olbers. With so many radiant balls of fire eternally glowing in the universe, how could there be any night? The Earth was surely bathed in cosmic starlight. This made no sense. It was, thought the German astronomer, a paradox. 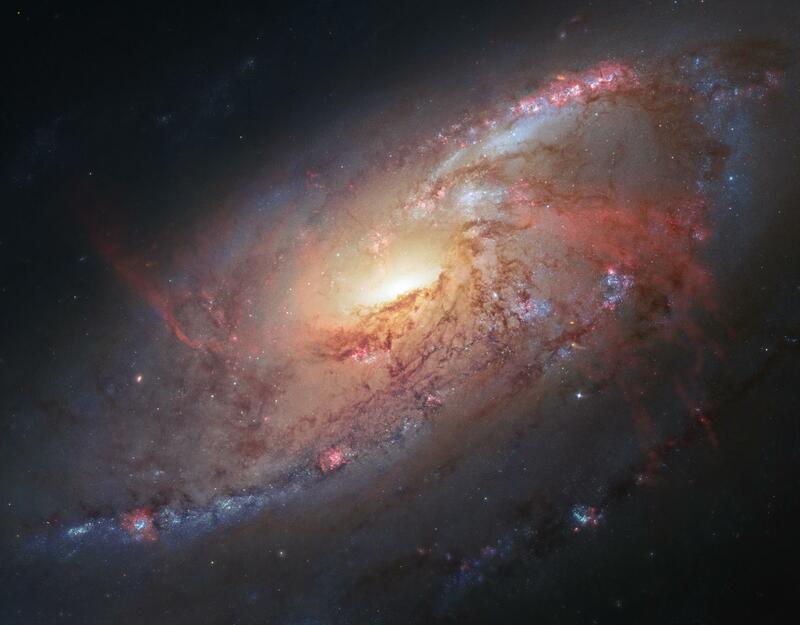 Nearly two centuries later, in the fall of 2016, scientists looking into deep space through the Hubble telescope discovered that the visible universe contained a whopping 10 times more galaxies than scientists previously thought. But still, there was night on Earth. To modern astronomers, Olbers’s Paradox is no mystery. Most every scientist now accepts that a Big Bang is responsible for blasting our universe into existence, meaning that the stars never shined eternally in a fixed universe, and never will. The radiant Andromeda Galaxy, the closest galaxy to Earth. It's believed to contain over twice as many stars as the Milky Way, perhaps a trillion. Indeed, space is aptly named. The nearest star to Earth, Alpha Centauri, is 25 trillion miles away. An incalculable number of stars would need to burn brightly, perhaps in perpetuity, to fill space with light. But perhaps the most important solution to Olbers’s is that the universe is, according to most astronomers, expanding. Nearly every galaxy is zooming away from us, and this stretches out the light, explains Ferguson. The light is pulled into wavelengths so long that it’s no longer visible to us — as our humble human eyes can only see a small spectrum of light. This outstretched light becomes infrared light, and this change in wavelength is not too different from the effect of an ambulance passing you on the street: you hear the siren at a lower pitch as the ambulance races away from you, because the receding ambulance stretches out the passage of the sound waves. Similarly, visible light may have left a distant galaxy 10 billion years ago, but “we don’t see it in visible light, because it’s been stretched into infrared light,” says Ferguson. So even if there were an unlimited amount light in the universe from perpetually shining stars, this light would be transformed and no longer visible. “We wouldn’t see it with our eyes,” says Ferguson. “But we could feel it,” he says, as infrared light carries heat. Night, it seems, is here to stay. Olbers may have lost sleep over the matter, but you probably shouldn’t. Rest well, under the universe’s eternal, ceaseless dark.